Snow turned out to be a popular topic for poets. Two submissions were selected as winners. The first place poem is by Dan Kenney. all the living and the dead. Dan Kenney is a community advocate in his role as founder, president, and executive director of DeKalb County Community Gardens. He is a retired elementary school teacher, husband, father, and grandfather. The second place poem, by DB Appleton, is very different. how I desperately long for a blizzard. D.B. Appleton splits his time between Madison and Sister Bay. A transplanted NYC native, his editorial writing has appeared in The New York Times, The Atlantic, Harper's, The Economist and Newsweek, among other very accommodating publications. Judges for September were Jim Lambert, Jacob Erin-Cilberto, and Kathy Lohrum Cotton. Lambert lives with his wife of 48 years and two 29 year-old desert tortoises near Carbondale, IL. He is active in community theater. His poetry book "Winds of Life" was published in 2007. Lambert is the Vice-President of the Illinois State Poetry Society. Erin-Cilberto lives and teaches in Southern Illinois. He has been writing and publishing poetry since 1970. His 12th and most recent book, Used Lanterns is available from Water Forest Press, Stormville, NY. Jacob has been nominated for a Pushcart Prize in poetry 2006-2008 and again in 2010. Cotton, who lives in Anna, Illinois, is a poet and digital collage artist whose work has been published in literary journals, magazines, and anthologies as well as nationally marketed as posters and greeting cards. Cotton is the author of three poetry collections; the illustrated volume, Deluxe Box of Crayons, was published in 2012. 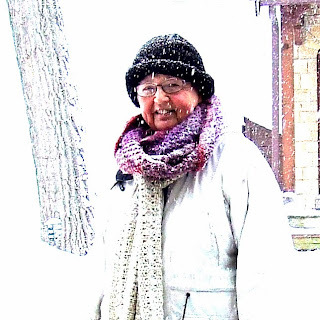 She has edited a number of volumes, including Harvest of Words, Shawnee Hills Review, and Where We Walk. Cotton also facilitates Southern Chapter of the Illinois State Poetry Society in Carbondale. Winter has arrived in the northern hemisphere. Although we haven’t had much snow yet this winter, I know it is coming. South Bend, Indiana, where we lived for seven years, has already had more than nine inches. I’m happy to be west of Lake Michigan now! Out of the bosom of the Air. Here is a snow poem I wrote a few years ago. or Lincoln in a tall hat. First published in Christian Science Monitor, February 2, 2005. Toward the end of this post you will find a list of other snow poems. Some are haiku; some are rather long. 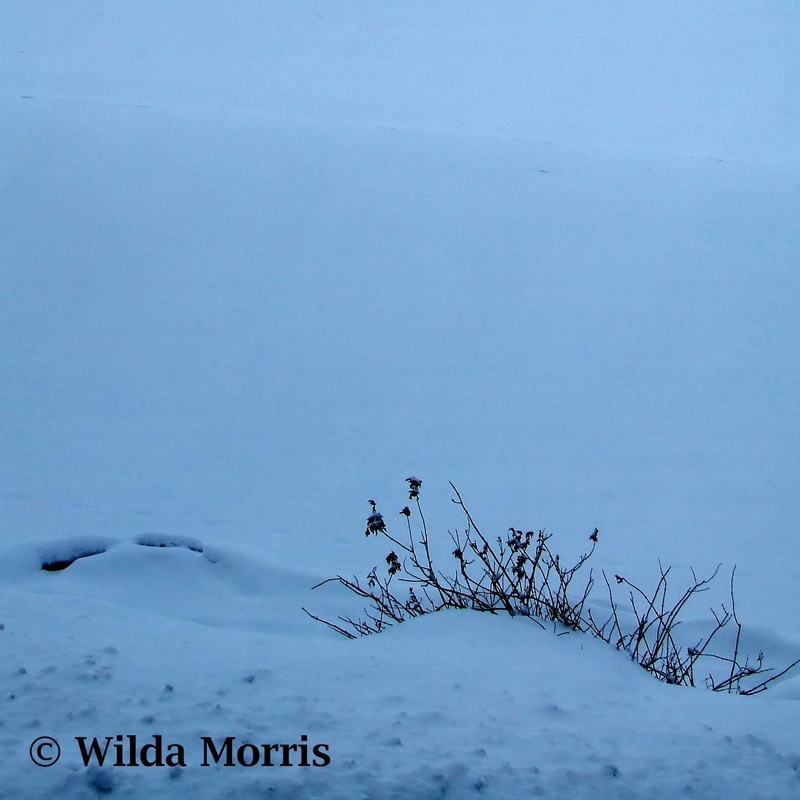 Some are poems about snow, but in others snow is primarily the setting. Animals (such as Jane Hirshfields’s badger) do things in or under the snow; Edna St. Vincent Millay’s buck has something done to it. Someone may be out in the snow (“stopping by the woods” with Robert Frost), looking out the window or, like Marjorie Saiser’s aunts, entertaining themselves inside on a snowy evening. Some are poems of memory or nostalgia. Others are more hard-edged. The snowfall, snowflakes or snow storm are sometimes literal, sometimes metaphoric, and sometimes both. Write a poem of any length from three to 20 lines. The poem may be about snow, or it may be a poem about something else, so long as snow appears in a significant role in the poem. Submit only one poem. Your poem can be free or formal verse. If you submit a form poem, please specify the form. The deadline is December 15. Poems submitted after the December 15 deadline will not be considered. There is no charge to enter, so there are no monetary rewards, but winners are published on this blog. Poems published in books or on the Internet (including Facebook and other on-line social networks) are not eligible. If you poem has been published in a periodical, you may submit it if you retain copyright, but please include publication data. Send your poem to wildamorris[at]ameritech[dot]net (substitute the @ sign for “at” and a . for “dot”. Be sure to provide your e-mail address. Include a brief bio which can be printed with your poem, if you are a winner this month. Submission of a poem gives permission for the poem to be posted on the blog if it is a winner, so be sure that you put your name, exactly as you would like it to appear if you do win, at the end of the poem. Poems may be pasted into an email or sent as an attachment. Please do not indent the poem or center it on the page. It helps if you submit the poem in the format used on the blog (Title and poem left-justified; title in bold, and not all in capital letters; your name at the bottom of the poem). Also, please do not use spaces instead of commas in the middle of lines. I have no problem with poets using those techniques; I sometimes use them myself. However I have difficulty getting the blog to accept and maintain those features. Please include a short bio with your submission. I look forward to reading your poem! *Robert Frost, “Stopping by the Woods on a Snowy Evening,” The Poetry of Robert Frost: The Complete Poems, Complete and Unabridged (Henry Holt, 1968). Online at http://www.poetryfoundation.org/poem/171621. *Robert Frost, “Dust of Snow,” The Poetry of Robert Frost: The Complete Poems, Complete and Unabridged (Henry Holt, 1968). Online at http://www.poetryfoundation.org/poem/173526. *Robert Frost, “A Patch of Old Snow,” The Poetry of Robert Frost: The Complete Poems, Complete and Unabridged (Henry Holt, 1968). Online at http://allpoetry.com/poem/8469227-A-Patch-Of-Old-Snow-by-Robert_Frost. *Edna St. Vincent Millay, “The Buck in the Snow,” Collected Poems (Harper Perennial Modern Classics, 2011). Online at http://poem-of-the-week.blogspot.com/2009_01_01_archive.html. *Richard Wilbur, "Boy at the Window" from Collected Poems (Harcourt, 2004). Online at http://writersalmanac.publicradio.org/index.php?date=2013/03/06. *Jane Hirshfield, “Beneath the Snow, the Badger’s Steady Breathing,” After (HarperCollins, 2006), p. 11. *Mary Oliver, “White-Eyes,” Poetry (2002). Online at http://www.poetryfoundation.org/poetrymagazine/poem/30876. *Robert Bridges, “London Snow,” Online at http://poetry.about.com/od/poemsbytitlel/l/blbridgeslondonsnow.htm. 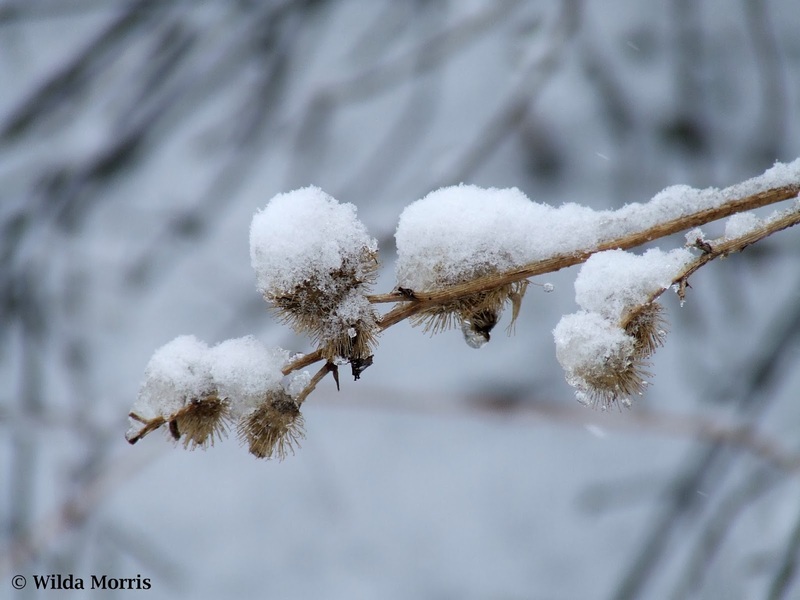 *Farouk Masud, “Snow,” Online at http://illinoispoets.org/poems1211.htm#Snow. *Percy Bysshe Shelley, “Lines: The cold earth slept below,” http://www.poetryfoundation.org/poem/174396. *Robert Hill Whiteman, “Horses in the Snow,” Star Quilt (Holy Cow! Press, 1984), http://www.poetryfoundation.org/poem/178386. *Wallace Stevens, “The Snow Man,” Online at http://www.poets.org/viewmedia.php/prmMID/15745. * Marjorie Saiser, “My Old Aunts Play Canasta in a Snowstorm,” Lost in Seward County (The Backwater Press, 2001). Online at http://writersalmanac.publicradio.org/index.php?date=2013/03/12. *James L. Corcoran, “Snowflakes,” Online at http://illinoispoets.org/poems1207.htm#Snowflakes. *Margaret Atwood, “Shapechangers in Winter,” Morning in the Burned House: New Poems (Houghton Mifflin, 1995), p. 120. Online at http://bittergrace.wordpress.com/2007/08/04/70-favorite-poems-4-shapechangers-in-winter-by-margaret-atwood/. *Alan Harris, “Listening to Christmas,” Online at http://illinoispoets.org/poems1207.htm#ListeningtoChristmas. *Kajiwara Hashin, haiku. Online at http://neverendingstoryhaikutanka.blogspot.com/2013/10/butterfly-dream-falling-snow-haiku-by.html. *Kajiwara Hashin, another haiku. Online at http://www.goodreads.com/work/quotes/2229840-japanese-haiku. *Collection of snow haiku at http://www.haikusociety.com/tags/Snow.